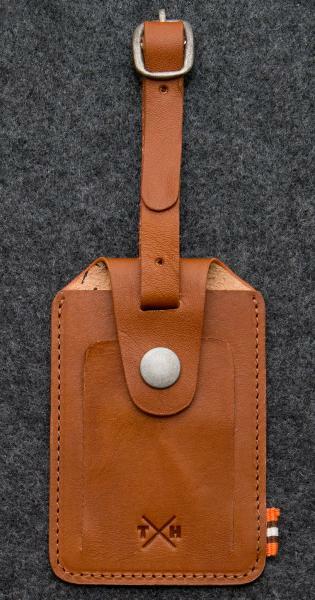 Tudor Luggage Tag in Leather with Flap Over Security Cover With Stud. The Tudor Luggage Tag is handmade from high quality Italian vegetable tanned leather, which gives that reassuring creak, when twisted. This is a luggage tag with a clear address window, by Tumble and Hide.